One of the easiest ways to bring color, pattern and a new energy into your room? The accent pillow. It's also my design superhero. It can transform a room in a flash. 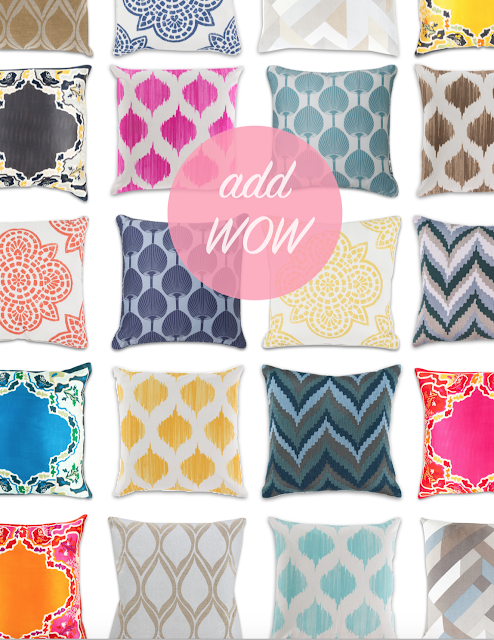 There's a new collection of high quality, down filled pillows in vibrant colors, gorgeous styles, in cottons and silks, now at angelo:HOME to choose from. Find them all HERE.